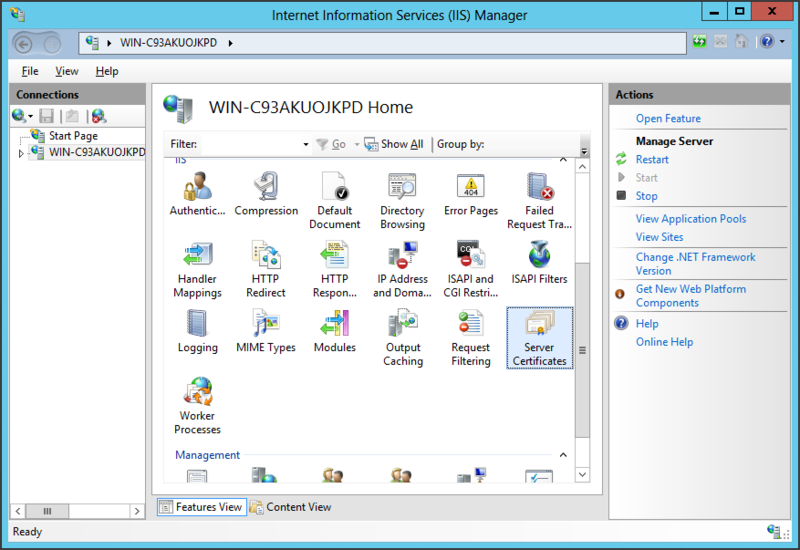 You can use the to create your CSR and to automatically install the certificate on any Windows server. Browse to your_domain_name.cer file that was provided to you by DigiCert. You will then be required to enter a friendly name. 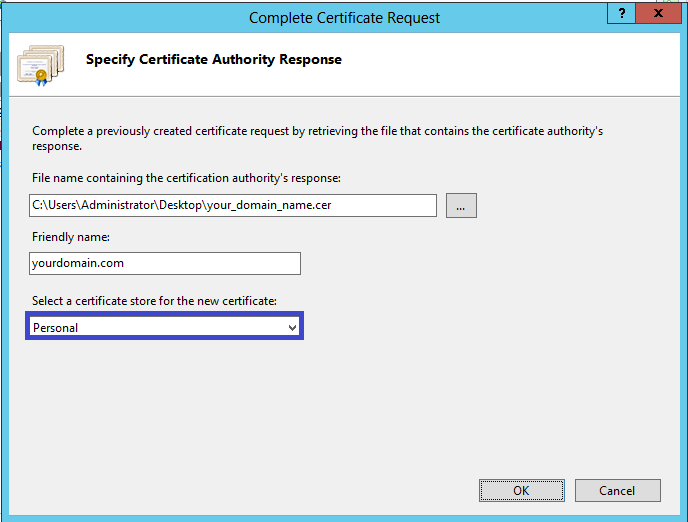 The friendly name is not part of the certificate itself, but is used by the server administrator to easily distinguish the certificate. Choose to place the new certificate in thePersonal certificate store. Browse to your_domain_name.cer file that was provided to you by DigiCert. You will then be required to enter a friendly name. 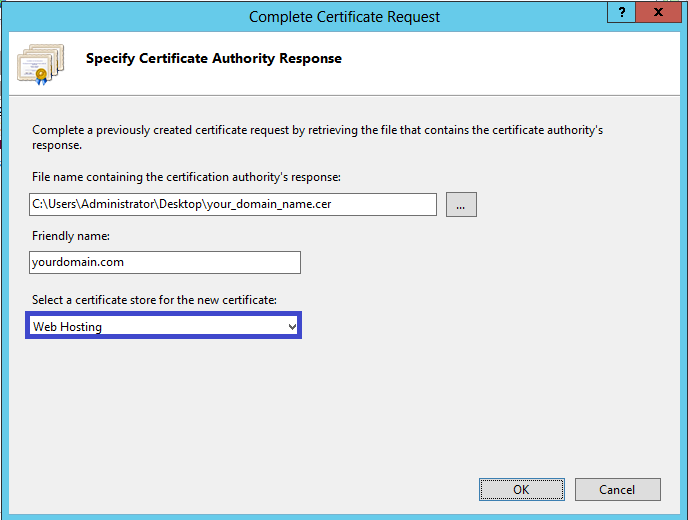 The friendly name is not part of the certificate itself, but is used by the server administrator to easily distinguish the certificate. Choose to place the new certificate in the Web Hosting certificate store. 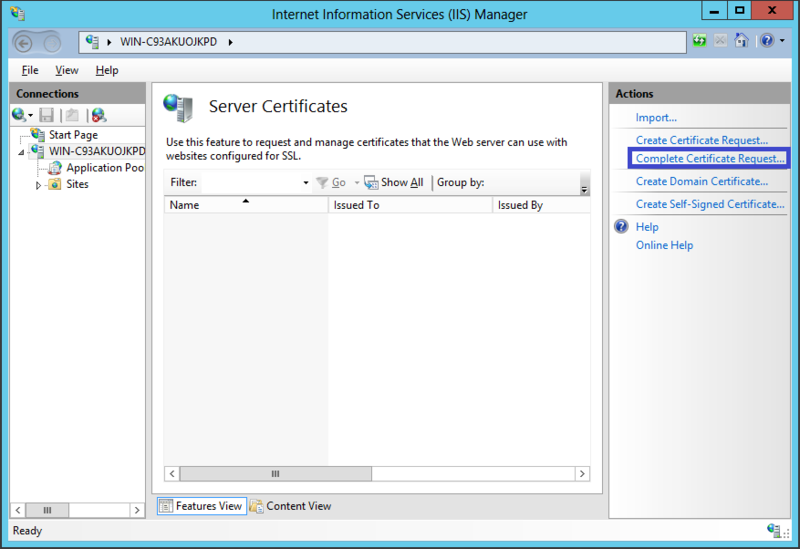 Note: There is a known issue in IIS 8 giving the following error: "Failed to remove the certificate" If this is the same server that you generated the CSR on then, in most cases, the certificate is actually installed. Simply cancel the dialog and press "F5" to refresh the list of server certificates. 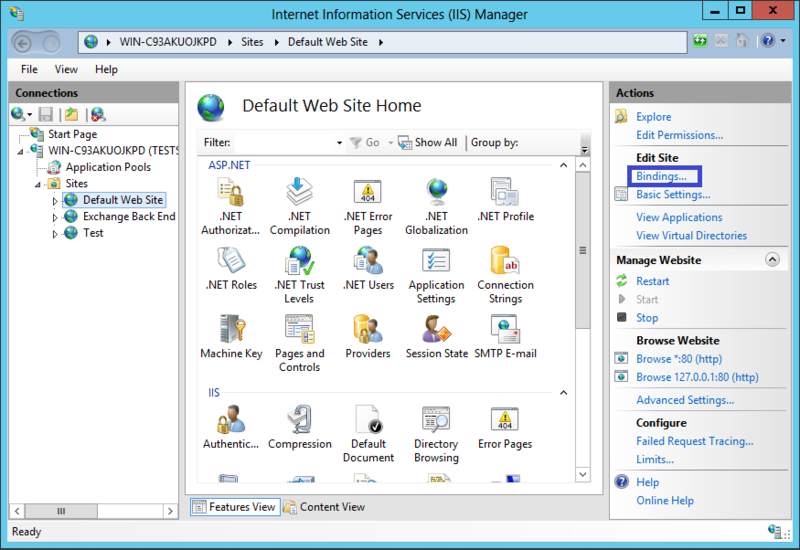 If the new certificate is now in the list, then it did install to the server, but you may want to check and make sure the certificate is in the Web Hosting certificate store. If not, you can move it there (see our How to Move Certificate to Another Certificate Store instructions) If it is not in the list, you will need to reissue your certificate using a new CSR (see our CSR creation instructions for IIS 8). After creating a new CSR, login to your DigiCert account and click the re-key button for your certificate. Under "Type" choose https. 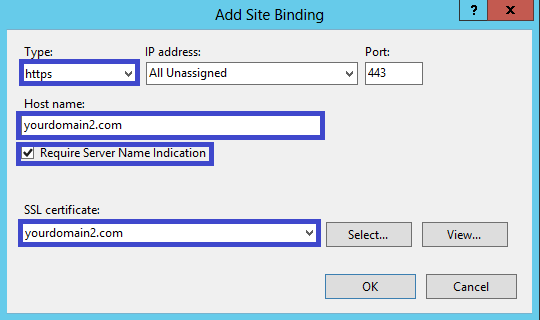 The IP address should be the IP address of the site or All Unassigned, and the port over which traffic will be secured by SSL is usually 443. 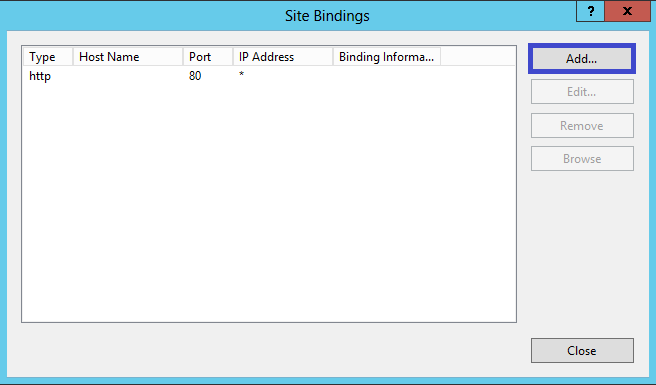 Enter the host name you will be securing and check the box that says Require Server Name Indication. 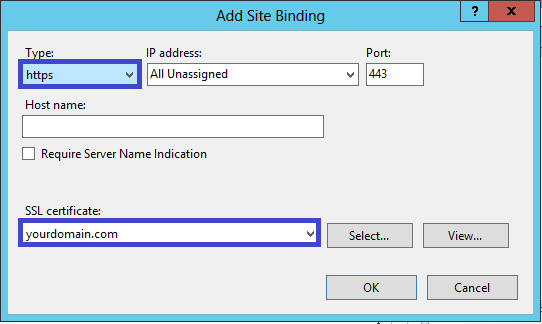 This is required for all additionalsites (not required on the primary site as shown in step 13) The "SSL Certificate" field should specify the certificate that was installed in step 7 for your additional certificate.